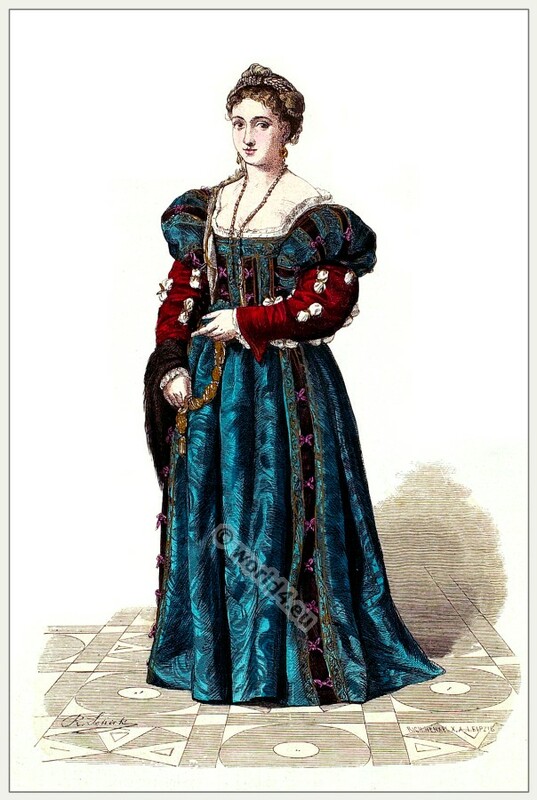 Home » Italian noblewoman in 1520. Renaissance costume. Italian noblewoman in 16th century. Renaissance fashion era. Moda Rinascimento italiano nel 16 ° secolo. Gallery: Historical and folk costumes by Franz Lipperheide. This entry was posted in 1520, 16th Century, Italy, Nobility, Renaissance and tagged Lipperheide, Renaissance fashion era on 5/30/13 by world4.